New research has revealed that a majority of Sheffield United fans are happy with the club. 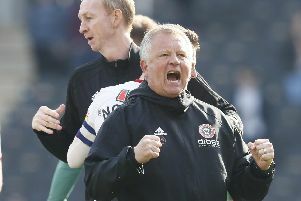 A survey by FootballTips.com found that 91 per cent of Blades fans are ‘happy’ with the team. United had the fourth happiest fans in the Championship, behind Rotherham, Swansea and Wigan in the top three. Norwich, West Brom and Reading fared worst in the division, with under 20 per cent of fans at each club answering that they were happy. When fans across the league were asked why they were unhappy, answers included “recent relegation”, “poor performance” and the cost of season tickets. The Blades are currently 5th in the Championship following their recent 1-0 defeat to Bristol City, which came on the back of a four match winning run in the league.